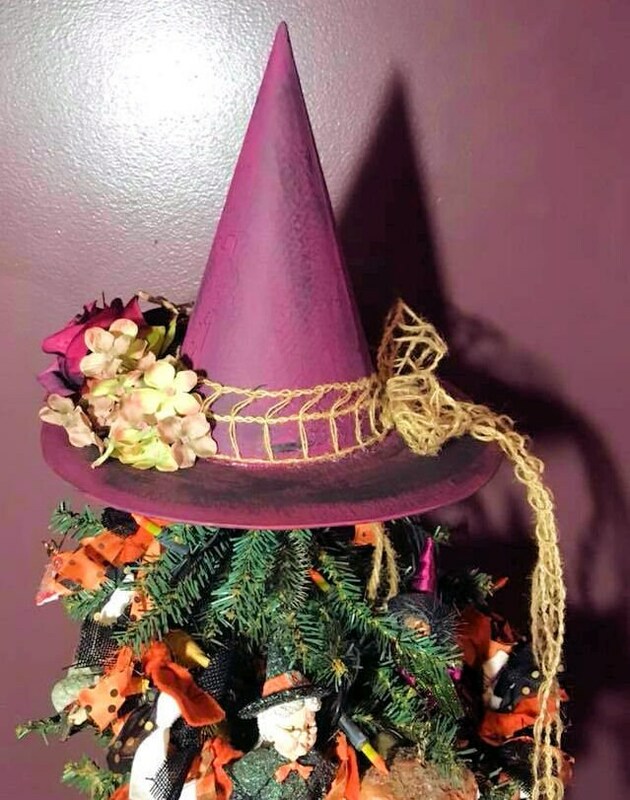 Give your tree a unique and distinct primitive look! You are receiving the HAT ONLY, no props included! 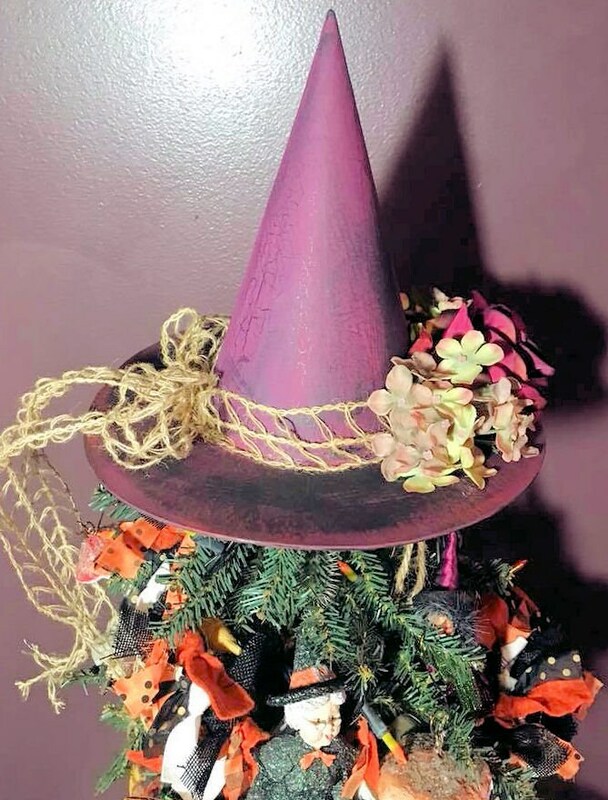 I've created a beautiful line of decorative witch's hats for all year round, they aren't just for Halloween. 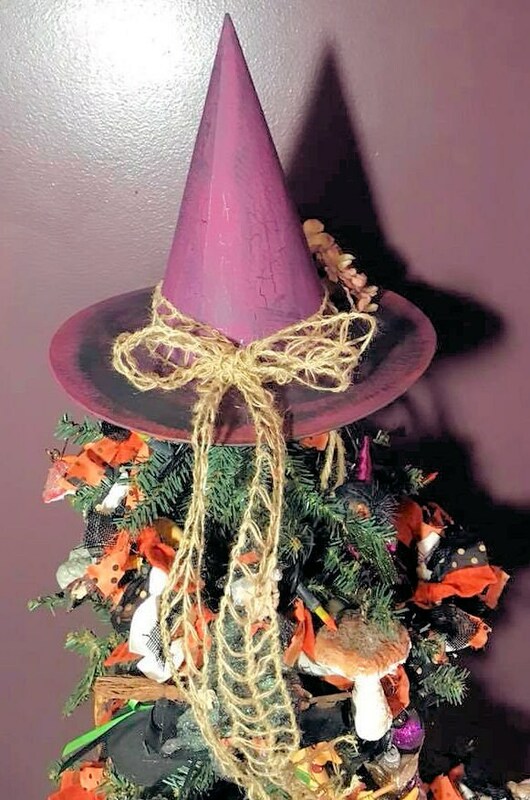 Stands at 9 inches tall and 10 inches wide, paper mache decorated hat. The inside hole for placing on the tree has a diameter of 5 inches. This hat has been painted a warm mulberry color with a hint of orange on the rim. Crackle and black accent on the cone and rim. A burlap ladder ribbon tied in a bow is around the cone, with a foot of tail hanging. 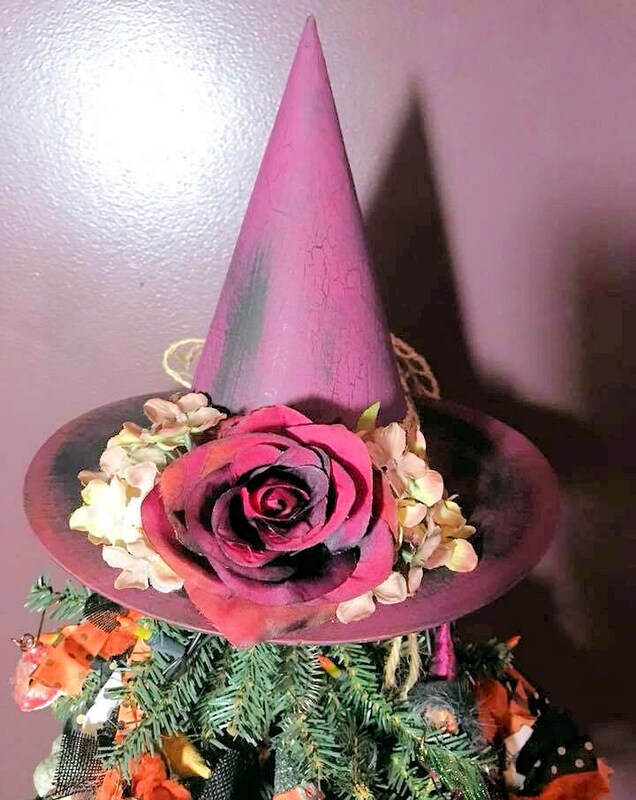 The front features a dark pink rose with dark accenting on the rose petals, the rose is surrounded by pink and yellow flowers. I've named this one "Aunt Clara's Tea Party Hat" because it looks like Aunt Clara would not hesitate to wear this out for the day. 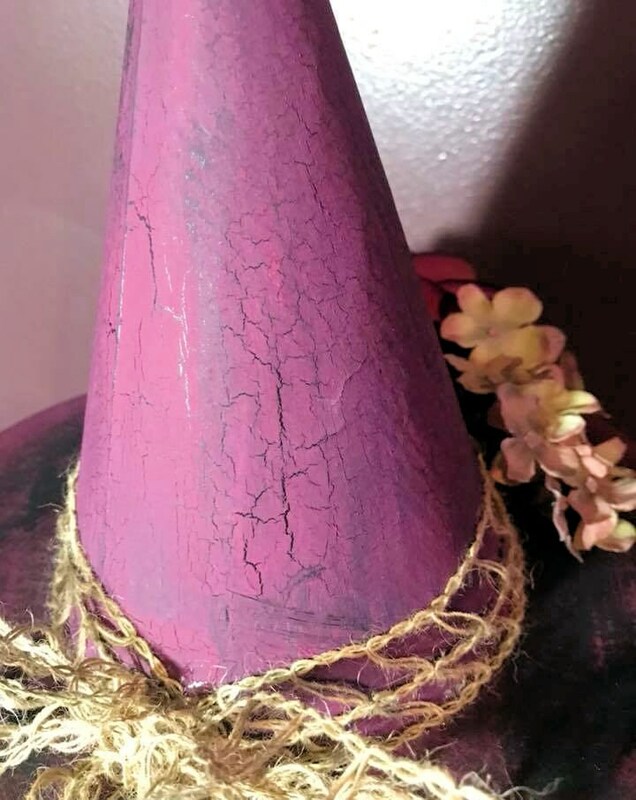 The inside and underneath of the hat is painted in flat black.